Paul Cézanne a unique set of over 100 artworks, exclusively on the WebMuseum! Medieval art: Les très riches heures du Duc de Berry Explore the WebMuseum. Robin Ruscio is one of Colorado’s premier bassists. including fretless and six string bass. 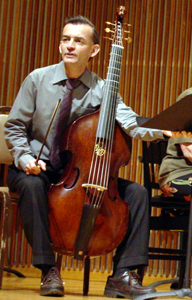 Volkan Orhon, Principal Bass Cedar Rapids Symphony Orchestra. performing and enjoying the double bass. MUSEUM OF HISTORICAL MUSICAL INSTRUMENTS. Professor José Vázquez, University for Music Vienna. De Zingende Snaar Harpen in Dordrecht, The Netherlands. 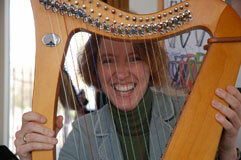 Anita has been a professional harpist, harp teacher and harp therapist within the Windsor, Ontario, community for nearly thirty years. A graduate of Wayne State University in social work, she employs those skills with her gift of music to lift the spirits of those in long term care facilities, hospitals, palliative care rooms and special needs classrooms. Promote the performing arts with special emphasis on harp composition, education, appreciation and performance. 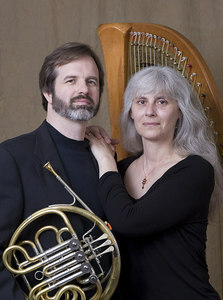 Musikwerke Fackler, horn and harp duo Daniel Fackler, horn Barbara Fackler, harp.